In spite of various agreements, India and Pakistan have fought three wars since they were granted independence in 1947 but out of all of these wars, there is one such war between the two countries that always remain in the recent memory and that is the Kargil war which witnessed heavy bloodshed on both sides. 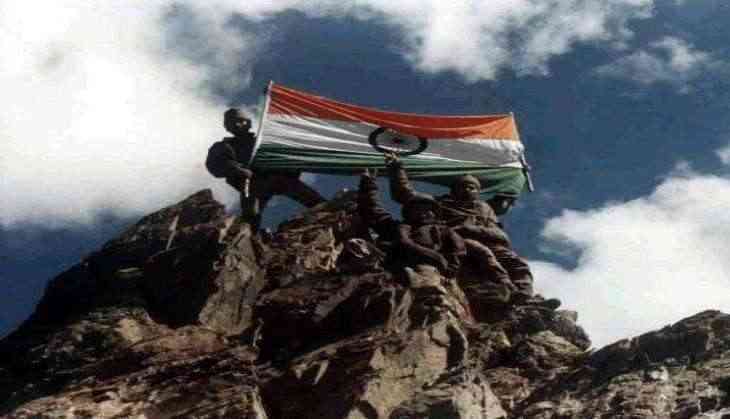 On 26th July 1999, the Indian army got victory as they managed to force out every trespasser from our motherland. This Wednesday, India will observe the 18th Kargil Vijay Divas in the honour of the soldiers that lost their lives in the war. 1. In the year 1999 the Kargil war was fought between India and Pakistan in Kargil, Ladakh which was earlier known as Baltistan district and was separated by the Line Of Control after the first Kashmir war. 2. Before the Kargil war, India and Pakistan had fought a war in 1971 which had led to the formation of Bangladesh as a separate country. 3. The ruling party at the time of the Kargil war was that of NDA which was led by the then Prime Minister Atal Bihari Vajpayee. 4. 'Operation Vijay' was launched by the Indians to clear the Kargil sector of infiltration by Pakistani soldiers and Kashmiri militants on the Indian side of the Line of Control. 5. The war of Kargil took place even after the Shimla Agreement was signed between the two countries that stated that no armed conflict shall take place on the said boundary. 6. The major part of the Kargil war was the Indian Air Force's 'Safed Sagar' that used air power at the height of 32,000 feet for the first time. All actions including identifying Pakistani troops and Mujahideens were performed greatly by the pilots and engineers despite of only one week of training. 7. 'Operation Vijay' was declared successful on 26th July, 18 years ago when India won a determined victory. While the then Prime Minister Atal Bihari Vajpayee declared the operation successful on July 14, and officially declared closed on July 26, 1999. 8. India lost more than 500 soldiers in the war while reports from Pakistan claimed that more than 3000 of their soldiers, mujahideens and infiltrates died. 9. Kargil war is one of the most recent and infamous examples of high-altitude warfare which was considered more dangerous due to the rough terrain and natural habitat. 10. Kargil war had been the one where a war was fought between two nuclear states and also the first war between two countries was widely covered by the media.